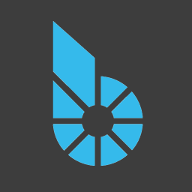 Throughout the last couple months, we have been repeatedly approach about core aspects of BitShares and its governance token BTS that have been presented publicly in an inaccurate and unfavorable manner. This often resulted in ambiguity and uncertainty that has held back some businesses from working with or on the BitShares Blockchain and could well have been a reason for lack of ecosystem growth throughout the last years. Additionally to an opinion letter of a prestigious legal council, we also seek a non-action letter by the United States Securities and Exchange Commission (SEC), the prototype for many regulators in the world. Thank you for putting this together and running with it. Lets get this voted in and moving along. Something wrong with "Duration 2018/02/15 - 2018/07/30 (12 months)". Thanks, it was meant to be 6 months. Putting all your eggs in one basket (Paul Hastings LLP) doesn't give the benefit of a second opinion. Having two legal firms working on the same issue gains the NEW benefit that the best course of action (as determined by the foundation or BTS votes) now becomes possible once you have two different opinions. You can have each firm review each other's recommendation and get the best answer out of the two. Since the SEC has federal jurisdiction, I recommend each legal firm being in different states. Competing legal firms will ultimately give their best resources and attention to the matter. This is why massive corporations don't just have multiple lawyers around the table, but different firms as well. In the end, the legal firm with the best performance and best legal direction would yield more business from Bitshares in the future. We get second opinions from doctors, car mechanics, etc.. It is not unheard of (and only diligent) to get second opinions from an additional law firm. Even the Supreme Court has multiple judges for these reasons. If you are in agreement, please voice your support. Thank you BitShares Blockchain Foundation for pushing this matter forward. I will vote for your worker. Crypto4ever has a good point that a second law firm could be helpful to get a more defined result. What will happen with the leftover funds for this worker? Is this worker in BTS or BitUSD? Thank your for your input, I will forward it to the corresponding people that deal with this. However, I don't see the need to pay twice as much until we have an actual course of action. It is also that PaulHastings has a very good reputation in the space, it's not that BTS is the only crypto in their customers list. I'll still forward the issue. I recommend you read through the proposal and the corresponding description of a "budget worker". What's the difference between this worker and the "201710-compliance" worker? It seems the latter has been voted in now. The link I provided explained that, but I'll quote the important part for your reference. The client might want to learn about alternative options to the recommendation by his or her primary attorney. Once you've started on a course of action, by then, it is often too late. You can't reverse time. I'll give an example. One law firm may suggest applying to the SEC for their interpretation of whether or not BTS tokens are considered securities. However you end up cheating yourself by starting a course of action without a second opinion. Law firms have a primary principal... to generate revenue to keep their law firms doing well. Their secondary principal is to follow the first principal while still helping their clients the best they can. The legal profession is a business like any other business. It must always generate a profit otherwise it can't help anyone. By realizing this as a client, you can make use of this primary principal by feeding that principal by retaining two different law firms and creating a small competition between them. Competition will yield you higher accurate answers when both firms are in agreement. When there is difference of opinion between 2 law firms, it gives the client the opportunity to select the best recommendation based on what each law firm comes back with. Trusting a reputable law firm, doctor, or mechanic is good, but in the end, they are still humans who are prone to mistakes. Having more than one opinion limits those unintentional mistakes. Go into this with 2 law firms. The benefits will be obvious in the long run. I'm not going to continue to speak about this issue. I have a friend who has recommended these things and is not part of this forum. His suggestions feel this has said enough. Those of you who support this should say something. [member=30441]crypto4ever[/member] does bring up good points about the SEC letter. Could some of the funds be used for a second opinion on the SEC letter? I'd like to hear what some of the large proxies such as [member=23]bitcrab[/member] have to say as I do not see their votes? Thank you for the lead to http://www.bitshares.foundation/worker/ . It is good to see how the BitShares Foundation is handling the different worker models. I especially liked http://www.bitshares.foundation/accounting . Yhea, that came as a surprise to us as well .. we will discuss how to deal with that situation going forward. from going too deep into details. Now we know much better about what is needed. What's holding people back from voting on this? The worker should provide real world businesses with assurance they will not run into legal issues utilizing the bts blockchain?! [member=23]bitcrab[/member] What is the feeling on your side of the world for this worker? We need this to get back onto exchanges such as Bittrex who is trying to be as legitimate as possible! bumping this up, what is holding people back from voting this in? Agreed! Such a letter is a door opener to start talking to.the big exchanges to list BTS, e.g. Kraken. Also it will have big impact being the first crypto to actually have such a letter. Spending BTS to send the no-action letter will be wasteful. The firm clearly have no idea how Bitshares or DAC's in general are run. I could recommend an alternative law firm based in Australia - they have a lot of experience dealing with SEC issues regarding FinnTech and Cryptos generally. @xeroc is there any way I can put forward a firm after Paul Hastings LLP contract expires? I don't think they have BTS' best interests in mind. The BBF has entered in an agreement with them and that means that they have responsabilities. Still, thank you for your input and I will forward it to the respective parties to take it seriously. The promised me to put this in their feed back to PaulHastings. I expect the next spokesperson report to entail how this is answered. Foundation ([email protected]) to not spread uncertainty. the SEC understands them too. That said, if you ask me, the DAO ruling doesn't apply for BTS. I dont think they will overlook fundamental components of a security such as the DAO's right to vote and receive dividends through ICO's such as Bits.Farm. that isnt Paul Hastings LLP or yourself, with legal expertise, could aid in pursuing the best outcome. In contrast to DAO, the BTS token does not receive dividends. If it would, then it would be a security for sure - but it doesn't and hopefully never automatically receive dividends. If someone wants to throw/drop money at someone, then that's fine, but doesn't make it a security IMHO - would ETH be a security because of the fork of ETC, or Bitcoin because BTC holders have also received BitcoinCash? The BitShares Blockchain Foundation handles this. 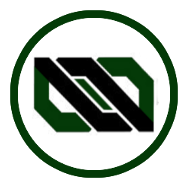 It reports on a regular basis on bitshares.foundation and on steem. Any update on this worker proposal? Did Bittrex never respond? Users on Telegram are claiming that Bittrex is emailing them about BTS being fully delisted, not just disabled? Any update to this? Perhaps one of the reasons BTS is not being considered by CoinBase?